Five Reasons Why You Should Rent A Limo For Your Wedding Day - American Limousines, Inc. Whether you’re headed to prom, getting married or going out for a night on the town, there’s no doubt that traveling in a limo means traveling in style. There are currently more than 130,000 limousines in service across the country and the Limousine and Town Car Services Industry has a revenue of $6 billion. Using a limousine service for a wedding is very popular. A wedding is one of the most important days in a couple’s life and marks the beginning of their time together in marriage. Whether you’re using a limousine service for the wedding party, as a getaway car for the happy couple after the ceremony or for honeymoon travel, a limo rental can add an extra layer on an already special and happy occasion. Reputation: It’s your big day and the last thing you want is have a hard time trying to do limo rental. It pays to do research and look for reviews of different limo service rentals so that when the big day comes you know you’re getting a quality service. Pricing: There’s no better way for a happy couple to leave a wedding ceremony than riding off in a big limo. But for all the flash and flare, it can be expensive too. 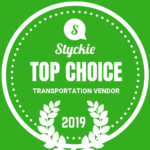 Before you ride off into the sunset, make sure to ask about specific pricing and services for what you’re getting, especially for a group car rental if you’re including the wedding party. Options: Did you know the fastest limousine on earth is a 20 foot long, eight seat Ferrari that can hit 170 MPH? Having a limo on your wedding day can add a certain cool factor, but it’s important that a limo company have options for you to pick from. If you’re planning on transporting the whole wedding party to the ceremony or around town for pictures, a stretch limo is probably a good option. If you’re having a smaller wedding, a smaller SUV might do the trick for a limo rental and save you a few bucks.In 1997, Jay Ohrberg built a 100 foot limousine with 26 wheels and a list of amenities including a swimming pool, king-sized bed, jacuzzi, and helipad. The Midnight Rider is a nightclub on wheels and one of the world’s most famous limousines. At 70 feet long, weighing 25 tons, and 460 square feet of space, it’s the Guinness World Record holder for heaviest limousine. The point is, there are some impressive options out there and if you want a limo with bells and whistles for your big day, there’s probably a company that can provide exactly what you’re looking for. Safety: Limos are fun, but you want to make sure everyone is safe. Make sure the chauffeur is properly licensed and the company is properly insured for liability. You want to make sure everyone has a good time, but safety is key, especially if alcohol is involved among the wedding party. 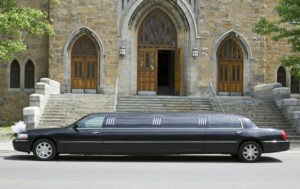 Plan ahead: If you want a limo rental as part of your big day, make sure you reserve it so it’s there waiting for you. It’s recommended that a wedding limo be reserved 6-9 months in advance of the wedding date. This will allow you to better coordinate your plans for a group car rental. Most limo companies require a rental time of at least three or four hours, but if you need extra time, reservations will make it easier to plan. The last thing you need on the big day is for your limo to not be available to you and your wedding party because you didn’t move quick enough on reservations. Your wedding day should be fun, memorable and go off without a hitch. Limousine service can enhance that experience and by knowing what you want, making reservations and ironing out all the small details ahead of time, having a limo will make the day that much more special. If you’re looking for a limo rental for your big day, sites such as Wedding Wire offer plenty of places to look as well as a state-by-state list of where you can look.